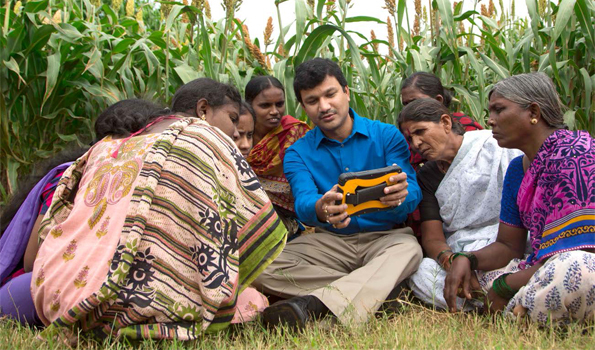 The “GreenPHABLET powered by the GreenSIM” – a customized low-cost combination phone and tablet computer was launched commercially by ICRISAT recently. “ICRISAT has been at the forefront of using the latest technology to benefit smallholder farmers. The GreenPHABLET will allow information to be precisely targeted to individual smallholder farmers. This will help farmers purchase inputs at lower price, get a better price for their produce, and link them to markets, thus putting them on the path to prosperity,” said former ICRISAT Director General Dr William Dar while launching the GreenPHABLET. Front view of the GreenPHABLET. 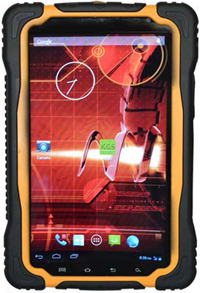 The GreenPHABLET powered by the GreenSIM is priced at US$ 299 and has been developed by the ICRISAT Center of Excellence in ICT Innovations for Agriculture in collaboration with NUNC Systems, a company based in Hyderabad, India. Info-entrepreneurs/extension professionals equipped with a GreenPHABLET serve as intermediaries, collecting information on registered farmers' landholdings and cropping practices, and querying the database to pull information on their behalf. This supports informed decision-making and monitoring. “This device acts like a mobile village knowledge center/common service center, enabling farmers to benefit from contemporary information and communication technologies and expanding Internet connectivity in remote rural regions,” said Dr Dileepkumar Guntuku, Global Leader and Director, ICRISAT Center of Excellence in ICT Innovations for Agriculture. “It creates an ecosystem of services that will improve the quality and convenience of information dissemination and knowledge sharing among stakeholders,” he added. Discussions are in progress to roll out the device across India and Africa. “Real-time information sharing between farmers and researchers enables farmers to improve crop productivity and researchers to collect accurate data in real time. 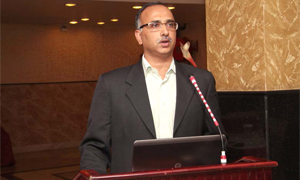 This lays the road for future innovations in the field of agriculture,” said Sandeep Dega, Senior Director, NUNC Systems. The GreenSIM is a special SIM card that can be used with any mobile phone. Apart from regular phone services smallholder farmers receive free messages about the weather and pest problems while sharing the most competitive agricultural input and crop prices. This has proven successful in pilot tests. In its first six trial months of operation, the GreenSIM program has saved precious food supplies while improving farm incomes through timely messages to 40,000 rural subscribers so far – its uptake exceeding all expectations. “In 171 villages across three states of India (Telangana, Andhra Pradesh and Karnataka), farm incomes have gone up since farmers can now compare prices of agricultural crops and inputs offered by both the traditional local agent and, now, via the GreenSIM,” says Dr Guntuku. GreenSIM is also applauded for encouraging entrepreneurship at the grassroots level. Interested youths, farmers, women and unemployed community members act as “info-entrepreneurs,” selling GreenSIM cards, earning 10 rupees (US$ 0.17) for each card and 2.3% of every mobile recharge coupon sold to the farmers. The GreenSIM was created through a unique partnership between ICRISAT, mobile phone service provider Airtel, and the IFFCO (Indian Farmers Fertiliser Cooperative) Kisan Sanchar Limited (IKSL). The GreenSIM (previously trialed as Krishi Gyan Sagar and Krishi Vani) received the prestigious Flame Award 2013 from the Rural Marketing Association of India (RMAI), and was cited for ‘showcasing innovative use of technology of the decade’. Farming in the eastern Indian states of Bihar, Jharkhand and Odisha is at an interesting crossroads. Part-time farming has increased among rural households in these states with traditional farmers slowly moving away from agriculture and people from other occupations, especially those depending on salaried jobs in small shops and businesses, taking up farming. These findings which emerged from the Village Dynamics in South Asia (VDSA) project were discussed at a symposium on ‘Transformation in Rural Economy and Employment Opportunities in Eastern India’. The three states under study have different patterns of rural transformation. During the past decade, the share of agriculture sector as a proportion of the State Gross Domestic Product (SGDP) has been continuously declining. This is despite the SGDP growing by 7.5 to 10% annually (faster than the national average). The per capita income has quadrupled during 2004 to 2012, but is less when compared to other states of the country. Prof Abhijit Sen, former member of the Planning Commission, who chaired the session, said it was unfortunate that Jharkhand could not make much progress because of an unstable government and poor governance. He said that though the other two states – Bihar and Odisha – are progressing, they still are lagging when compared to other states. The number of farmers in rural areas is declining at a rapid pace while opportunities for non-farm employment are growing. However agriculture still remains the basic source of livelihood. Between 2001 and 2011, in Bihar alone, more than 4.6 million agricultural laborers and 2 million non-farm workers joined the already existing labor force. In the other two states, the majority of the additional workforce were also farm laborers. In these three states, traditional farmers are giving up agriculture, while people from other occupations are taking up farming. During 2010 to 2012, about 10% farmers left farming in Bihar, while 5% households depending on salaried jobs in small shops/businesses started farming. In the villages of Jharkhand and Odisha states, attrition of farmers was more (about 20%), however about 10% of farm labor adopted farming as a primary occupation on leased land. Thus, part-time farming has increased among rural households in eastern India. In the three states, the operational holdings of the landless and small households are increasing in size, while that of large farmers are declining. While rich farmers are shying away from agriculture, the poor are taking advantage of the lease market. However, due to stringent measures taken by financial institutions in eastern India, it is becoming increasingly difficult for poor farmers to avail credit to invest in leased land. Therefore, the creation of an enabling environment in all the service sectors was suggested to support poor and landless farmers. The traditional crop sector in eastern states is growing slower than the other high-value sectors like horticultural crops, livestock products and fisheries. 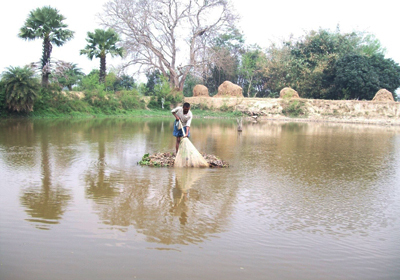 During 2004-2010, in Jharkhand the growth in value of output from fisheries rose to about 18% annually, while livestock has grown by 10% in Odisha and by 5% in Bihar. The traditional crop sector is experiencing muted or negative yield growth particularly in Jharkhand. More surprising, the gross cropped area has declined by 4-5% annually in Jharkhand and Odisha and to some extent in Bihar. In the VDSA villages in eastern India, amongst the population that had no formal schooling, 44% took up farming, 27% were in non-farm labor activities and 17% in farm labor activities. With a high illiteracy level of 50% among the female population and another 30% literate only up to primary level, it is a challenge to train them for any livelihood activities to facilitate their upward mobility. The three states together constitute about 15% of the country’s population and have 8% of the total cultivated area of the country. However, availability of basic and social infrastructure is dismal. Of the total national figures these three states put together have 5% of paved roads, only 0.5% of electricity consumption for agriculture and less than 5% of institutional credit is disbursed to the agriculture sector. In Bihar, the share of formal credit is high in those villages which are near to big cities. Per capita real income of the households has increased from both farm and non-farm sources over the last three years in the study villages. Per capita household income in the villages of Bihar, Jharkhand and Odisha has increased to about US$ 450, US$ 400 and US$ 360, respectively in 2012 from about US$ 350, US$ 230 and US$ 240, respectively in the year 2010. Use of tractors for ploughing is rising in eastern India, though with varying pace. In Bihar, almost all fields in the villages of Patna district are ploughed using tractor, while in Jharkhand and Odisha bullock-drawn ploughs are more common. A few large farmers have also invested in combine harvesters in Patna district and are doing brisk business by hiring out the machines. Adoption of hybrid paddy is widely seen in all the villages of eastern India. Lack of awareness about government programs and rampant corruption in accessing schemes such as subsidy on digging wells, irrigation equipment, piggery, and Kisan (Farmer) Credit Card are the major bottlenecks in adoption of improved technologies in eastern India. The above findings emerging out of the VDSA initiative in eastern India were deliberated upon by more than 100 professionals from across the country. This was at a symposium held recently by ICRISAT at Ranchi, Jharkhand, India, in collaboration with Institute for Human Development. The VDSA project is supported by the Bill & Melinda Gates Foundation. Insects constitute nearly 75% of the total species on earth, and play an important role as pollinators and scavengers, and provide honey, silk, and lac. However, they also cause huge losses in crop production, currently valued at US$ 242 billion every year. These facts were highlighted during the inauguration of the SAT Insect Museum at ICRISAT headquarters. 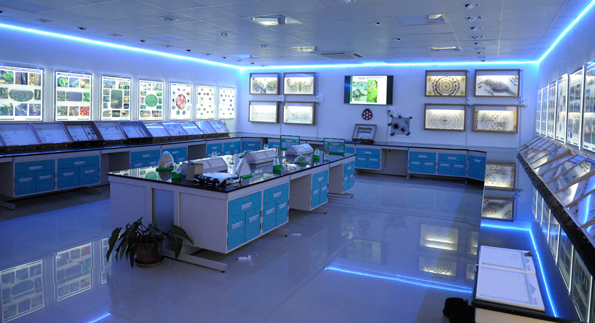 The entomology team, led by Dr Hari Sharma, Principal Scientist, ICRISAT, created the museum and put together the various exhibits comprising 200,000 insects on display. The museum was inaugurated by the outgoing ICRISAT Director General Dr William Dar on 30 December 2014. Dr Rajeev Varshney, Research Program Director, Grain Legumes, welcomed the group on the occasion, and highlighted the importance of pest management in crop protection, and the role of arthropods in the eco-system. Dr Sharma pointed out that improper storage results in more than 50 per cent of the grains being damaged by insects. After decades of work, a large collection of insect pests of dryland cereals and legumes and their natural enemies have been identified and put on display. The museum also has information on useful insects, insect diversity at the ICRISAT farm, pollinators, scavengers, predators, and parasitoids, as well as ICRISAT’s research on host plant resistance to insects, insect-resistant cultivars developed at ICRISAT, pest management, and transgenic crops with resistance to insects depicting the progress made at ICRISAT in pest management over the past four decades. In addition, there are eight large-sized displays on insect diversity, butterflies at ICRISAT, and the insect phylogenetic tree. Congratulating Dr Sharma and his team, Dr Dar highlighted the excellent research carried out in entomology over the past three decades, which has been recognized all over the world, including the CGIAR. Dr Sharma thanked the entomology group for the hard work, and recognized the excellent support of the Farm Engineering & Transport Services team comprising of S Pillay, C Buchappa, S Sundaram and Bijoo Davis for their help in setting up the insect museum. The performance of broiler chicken fed on 100% sorghum as a substitute to maize was highlighted during a field day in Nigeria where farmers, millers, researchers, public servants and decision makers participated. These claims were the results of feed trials on the use of sorghum in feed formulation for broiler birds, proving the suitability of sorghum in poultry feed. The trials were conducted by the Centre for Dryland Agriculture, Bayero University, Kano, through the sorghum value chain of Agricultural Transformation Agenda (ATA), in collaboration with ICRISAT. As an ingredient for bird feed, sorghum compares quite favorably with maize in terms of the nutritional quality, with the added advantage of being tolerant to extreme weather and can be grown in Nigeria as opposed to imported maize. Various stakeholders expressed optimism that this is a welcome development in Nigeria whereby poultry producers can meet their requirement for feed formulation at affordable prices. Professor Bawa of Ahmadu Bello University, Zaria, clarified the participants’ queries. In his remarks, Dr Hakeem Ajeigbe, ICRISAT-Nigeria Country Representative, highlighted marketing as the most challenging issue in developing the sorghum value chain and that one of the efforts is to link sorghum farmers to an organized market through such efforts as including sorghum in poultry feed. Another activity at the event was the demonstration of post-harvest machines led by Dr Ajeigbe who explained the working principles of the machines that included threshers, hammer-mills, grinders and stalk choppers. He urged Nigerian youth to form groups and purchase the machines to be used as a source of income to improve their living standard and reduce unemployment in the country. 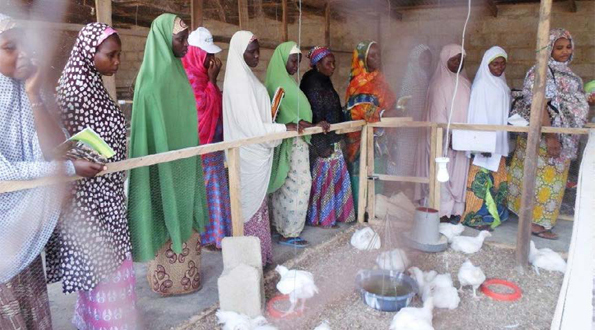 The field day was held on 11 December 2014 at Imawa village, Kura local government area in Kano state, Nigeria, and attracted 78 participants. This work was undertaken as part of the CGIAR Research Program Dryland Systems.